Personalised medicine is in high demand and more and more people are turning to genetic testing to better understand the nuances of their individualised health care. 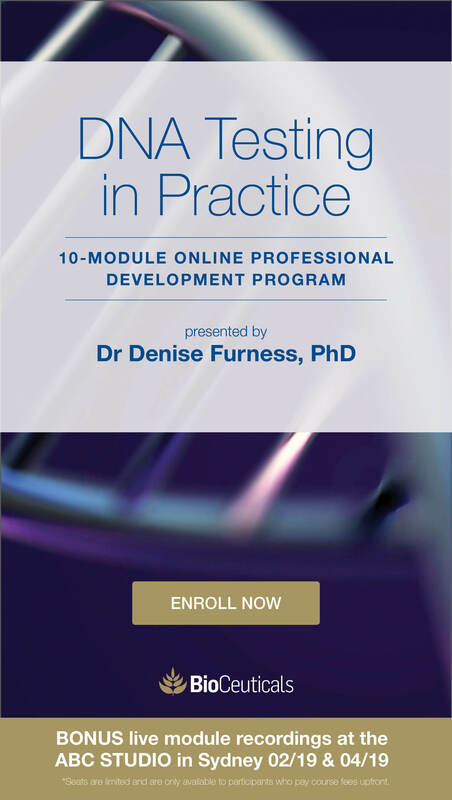 As a foremost expert in genetics, particularly nutrigenomics, Dr Denise Furness is in high demand as an educator to both clinicians, researchers and consumers on this growing area of healthcare. Denise joins us today to give us a "Genetics 101," highlighting the many opportunities that genetic testing opens up in clinical practice for delivering personalised, empowered health choices to patients. [31:21] How do we apply genes to personalised medicine? Mark: Today we're talking with Dr. Denise Furness PhD. 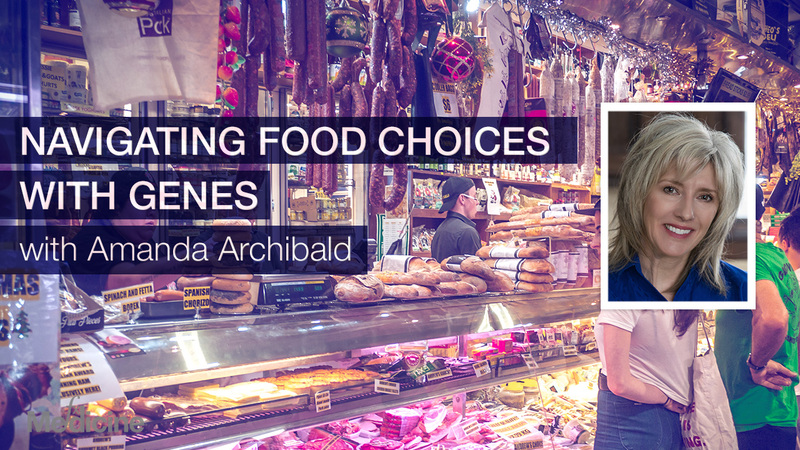 She's the seemingly ubiquitous and well known molecular geneticist and nutritionist with 16 years of experience in the field. She conducted her PhD in nutritional genomics and genome health at CSIRO Human Nutrition under the mentorship of the great Professor Michael Fenech. 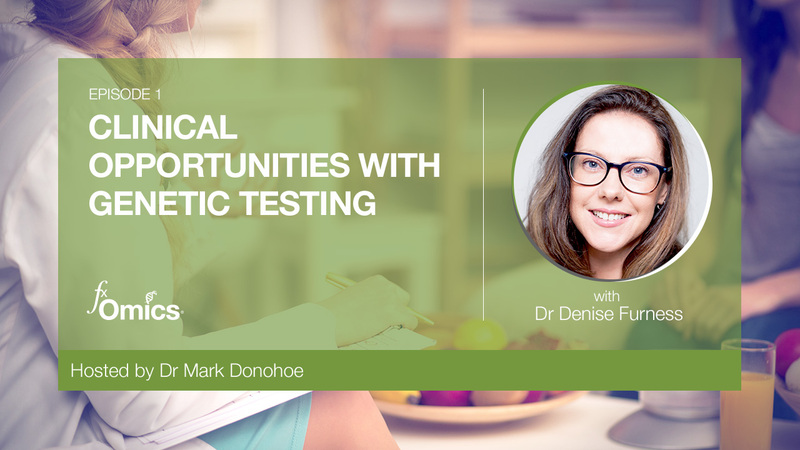 Denise lectures widely and works closely with integrative practitioners to apply this knowledge and address the genetics affecting health outcomes. Welcome, Denise. How are you going? Denise: I'm very well, thank you. I'm looking forward to chatting to you too. Mark: Yes. Well, we're going to be doing a 101 today, and a 101 in genetics, genomics, and nutrigenomics. And the reason I say that is I need to be a student in that 101 class. Because unlike you, you know, you have 20 years experience from the start of yours. I've got about 50 years that I started...50 years ago, I started medicine. And in those days, we knew about DNA because what's been relatively recent in our memory. Mark: Since then, things have changed somewhat and I'd love to know just a little bit about how you're kind of training, how your experience has developed over that time, what your education was, and what we need to know as practitioners. The basics of nutrigenomics and genetics and genomics, and I want to make those distinctions if you can help me do that. So as a molecular geneticist, a nutritionist and, you know, 20 years since you started uni, 16 years experience, tell me about how your career developed? Where did it start, this interest in genetics? Denise: Well, I wouldn't say that the genetics was the initial passion. I just actually, I guess, I happened to be good at science. I definitely liked biology. And I think there's been a few people along the road that have been quite instrumental in guiding me. I was very lucky to have a wonderful science teacher at high school actually, even started then, who really pushed me in that direction, took me aside, introduced me to her husband, who was a doctor, and I started reading medical journals back then, like the internet was new. When I was doing Year 12, the internet was like, "Whoa. Oh, my God, you can get onto a computer and…" you know. So that was brand new, and I started looking at medical journals. And she introduced me to something called xenotransplantation. Denise: Which was looking at, you know, growing pig organs and putting them into sort of humans and I thought, "That's fascinating." And I did my what was called a CAT, it's a Year 12 common assessment task on that. Denise: Did quite well, I mean, obviously chose to do science at uni. You know, I was good at it, I enjoyed it, and I didn't really know what else to do. So I did my undergraduate in science majoring in biochem and molecular biology which is essentially genetic. Mark: Molecular biology was a thing even then, was it? Denise: Molecular biology was definitely a thing then, but quite new. And really, when I was going through university, the big thing, like sort of the exciting word which I'd probably say now is more like epigenetics, but back then it was biotechnology. Denise: Back then, biotechnology is booming in Australia. There's going to be lots of jobs so, you know, there's funding. So it was really about doing sort of biotech, but I was sort of focusing on more the, I guess, the molecular biology biochem. I'll be honest, I didn't really love biochem. I recall sitting in second year biochemistry thinking, "When am I going to use this stuff? Like really?" Like this, like, you know, like glycolysis and Krebs cycle, and probably not taking it as seriously as I should have. But things changed. You know, like most Aussies, I took a year off and traveled and that really made me realise how lucky I was to have an education and be a woman with all of these opportunities in front of me. I spent some time I'm in the Middle East and all sorts of countries that sort of changed me in a very, very good way. Denise: The Hendra virus, yeah. It was something that was in horses and actually then killed the trainer. So somehow, it jumped from the horse to the human. So I started working on that. That led into me doing an honours. So I didn't initially intend to do any postgraduate studies, but when I finished my degree, I was offered the honours position which was, you know, awesome, really, and then moving into to sort of CSIRO and working there full time for that year. And because I'd already been there at CSIRO, at the animal health labs in Geelong, I was sort of comfortable doing that. So I did my honours, thought the place was amazing. You know that I do get excited over things and I was excited. I thought, "This is an amazing world." If anyone thinks of like the crazy laboratories that are on like "Mission Impossible." Denise: Yes. I work in a place like that. You know, you have to, all of your clothes come off, you need to go through airlocks, you've got your clothes on the other side, you know, you've got to shampoo your hair and everything has got to be clean. And when you're coming out, it's the whole sort of same process. And it's airlock after airlock to go into these rooms and it's all really high tech. It's really amazing. And I just thought. Mark: This is early 2000s, is it? Like 2002-3, somewhere around there? Denise: Yeah, I didn't think I would leave. It was an amazing place. I was loving life. But to be honest, you don't understand as a university student that when you come out you're not really a scientist. So I was a research assistant and initially it was great but I just had this drive for more. To be honest, you just sort of reading protocols and doing things day in and day out and I guess I wasn't being challenged enough and the excitement died basically. So I thought, "Maybe I'll do a PhD." And I thought, "Well, you know, I like the genetics." The other thing I haven't mentioned is that I also moved into animal work. That made a massive difference to my day-to-day happiness. So working in the lab, like cell culture and all that kind of stuff was fine. And I was doing a lot of genotyping and genetics and sequencing and some bioinformatics. But the actual animal work which came when I moved into my actual employment position, I was not okay with. And the animal health laboratories, that's sort of they I do, they do a lot of animal work. Denise: It was fairly good, you know, trying to work out why frogs were becoming, you know, sick and why vultures were dying in India. There was some amazing work going on, but I just didn't like the animal work. So I started exploring other areas of genetics. Denise: I've always had a personal interest in health. I was quite fit at the time, in sort of nutrition and exercise, and I learned about this area called nutrigenomics and I'm like, "This is amazing." Mark: Now, I thought Nutrigenomics was a term that came up much later. But Nutrigenomics was a thing right back there at the beginning, right? Denise: No. It was right there. So in 2002, I was looking at a research study, a PhD, and it was folate nutrigenomics. They probably called it nutritional genomics. But nutritional genomics, however, it was in Adelaide, it was with Michael Fenech at CSIRO Human Nutrition. Mark: Right. Wonderful. Yeah, he's been a teacher for many of us, me especially. He launched a thousand careers. Denise: Honestly, he did, and he is the guru and I'm really grateful that I ended up making that decision. I was very lucky, I got a CRC scholarship, so a government scholarship. Initially, I didn't want to go to Adelaide. We were going to try, there is a CSIRO Human Nutrition in Melbourne. We were going to try to make it work but it just couldn't work, the interstate thing. So I moved over to Adelaide, thought I would just do my PhD and come home. But long story short, I was in Adelaide for nine years. I did my PhD with him which was, as I mentioned, that folate nutritional genomics. Denise: So looking at all of those genes, the MTHFR that everyone talks about. But a lot of other genes in the pathway. It was never just MTHFR. Probably don't need to go through all of them. Those that hear me speak know I always was talk about the pathways. But we also measured, you know, actual methylation. So the, you know, the carbon three hydrogen, the actual methyl groups..
Denise: On maternal blood and placental tissues. And my research was actually in pregnancy health. We also looked at DNA damage markers and the nutrients, you know, what are the homocysteine levels, the folate levels, nutritional assessment? So I moved my genetics world into human work, which was great. Because humans are consenting when you give blood unlike those poor animals I was working with. And I was learning about nutrition. So CSIRO human nutrition was doing some great things. Not only with Michael there leading the way with the genetics and sort of the DNA damage, but people like Manny Noakes and Peter Clifton were developing the CSIRO Wellbeing Diet and there was lots of cool stuff happening at the time. So I was sort of getting all this extra education around nutrition as well. And yeah, I finished my PhD, which actually was a long road and almost broke me for a little while, it was probably a little harder than I thought, but it led into a postdoctoral fellowship. So I was lucky to be involved in the NHMRC grant and continue my research and we expanded from the folate nutrigenomics. So I moved up to the Women's and Children's Hospital and the University of Adelaide. Denise: So I still had my link with Michael, but I wasn't actually based at the CSIRO laboratory anymore. I was now at the Medical School at the obstetrics gynecology department and with the hospital. So the Women's and Children's Hospital in North Adelaide. Mark: And that's where you got onto the predicting adverse pregnancy outcomes. Is that at the women's and children's hospital, or am I out of line there? Denise: Yeah, NIH money for my first project. Mark: Which I guess is even harder to get. Yeah. Denise: Yeah, yeah, we were very lucky. And I also had a small grant, one of my other supervisors. So I've mentioned Michael Fenech, he was obviously what led me to Adelaide. He's the guru in Nutrigenomics and I was so excited about learning that, you know, your DNA and your diet and how it influences, you know, your nutrient requirements. But there were other key players as well. So Professor Gus Dekker who was the head of maternal foetal medicine. So I had three medical doctors and one scientist for supervisors. Yee Khong was the placental pathologist at the hospital. He also helped get a small Channel 7 grant, which even though he was my PhD supervisor, that led into the post-doc as well. So the medical doctors I was working with actually helped, were very, very important in that funding too for the research that went on. And that allowed us to do more research and changing from looking at late gestation pregnancy complications into more early. So couples that had had recurrent miscarriage or infertility issues. And we expanded into vitamin D and immune factors and the whole recurrent miscarriage workup. So AMH and we had sonographers involved and ultrasounds. Denise: It was very clinical. The first project was too, but really all I was doing was a nutritional assessment and interviewing the women. I wasn't at the hospital. Whereas the second one was very much, you know, in the hospital. And, I guess, my position was quite, sort of an interface between the lab and being a clinical person. And I realised I loved working with the patients. Denise: Which when the postdoc was finished, that sort of helped me think, "Well, actually, I want to do more of this. I want to work with the patients and I don't think that this should just be something that's happening from a research perspective." You know, we can really help people. We had great results in the hospital. And for those of the listeners that know ACNEM, ACNEM really has helped me develop into the person I am. Because I had been presenting at the ACNEM conference for many years. Initially, the CSIRO Human Nutrition linked with ACNEM and had a joint conference. So as a student I presented and that really opened my world, or opened my eyes to the world of integrative medicine. And, you know, you always have it in you. You know, there's always been this sort of journey, but I think in you, you are a certain person. I've always believed in nutrition and health and, you know, exercise. I guess, I grew up in a family like that as well. Mark: What year was this? Denise: I had just had Harriet. I had my first baby. So it was 2012, I think. Denise: 2012. And Jennie McKern, who's an amazing integrative doctor grabbed me and said, "I wish you were Melbourne. You know, we work in integrative medicine clinic." I said, "I am in Melbourne. I've moved home. I've resigned from the hospital. I've just had a baby. I'm actually on maternity leave. I want to start a business." And she said, "Oh, you've got to meet, you know, Braham Rabinov and the other doctors. And it was just an introduction that just immediately just changed my life. I met these amazing doctors that just embraced me. I moved into the clinic. I was helping them interpret the genetics, initially I was always with a doctor, but then, obviously, as I grew, I did a lot more on my own. But interestingly, not only did I say, "Are we ready for nutrigenomics. You know, in 2012, do you think we can do this in the clinic, you know, will people embrace this?" Because I had been telling the people I worked with, the doctors and the scientists, that I would like to do this in clinical practice. And I was getting very, very mixed messages. Denise: Some people just thought that I was crazy and that there was not enough evidence, and some people had some very firm opinions that this was only at a research level and it was not ready to be something that could be delivered in clinic. However, others were very supportive and said, "You go," you know, "Get out there and make a difference." So I was getting a lot of mixed messages. However, at the conference where I said this, two of the sponsors were genetic testing companies..
Mark: Oh, I know. So you're talking to a doctor.. I was, my first involvement with ACNEM, which is the Australasian College of Nutritional & Environmental Medicine, was 1985. Mark: And I know exactly what you're talking about. When doctors discover something and they realise that the medical work they've been taught at university doesn't work for areas like nutrition, doesn't work for prevention. We joined together and what we almost called ourselves the feral doctors association, we knew there was something there that we needed to know about, and we were waiting for genomics and genetics to start to open up some doors for us. Mark: And so the tragedy is that it took from say, the 1980s to 2012 before the link really started to firm up. And it sounds like you were there at the beginning. The end of the genome project but before it's clinical application became apparent. And that’s, good group. You know, that's like tossing a seed and finding a little bit of fertile ground of doctors who are willing to go down that path because they know instinctively that that's the way that we need to be. Denise: And I didn't introduce genetic testing to the clinic that I was at. Denise: They were already doing genetic testing. They just weren't really sure. They knew that it had some value. 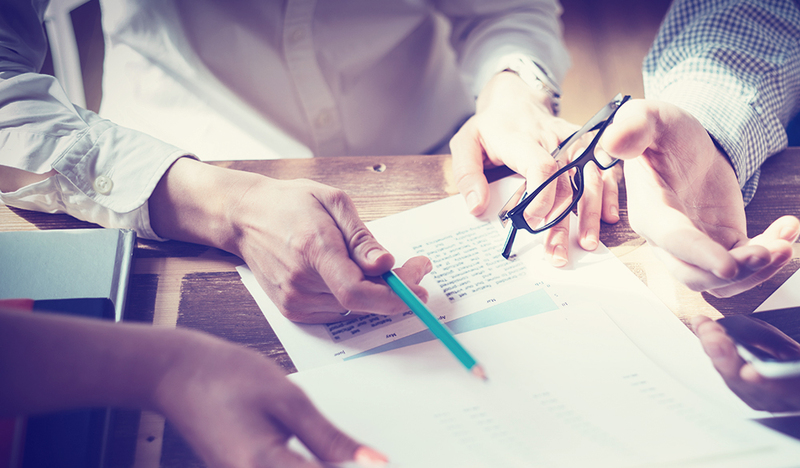 They believed that it could help with sort of the more complicated patients trying to get to some of these underlying triggers or causes of what was going on. Often they we're using it with patients that weren't responding to treatments as they expected or weren't getting better, but they didn't really understand how to interpret it. Denise: So my introduction was really just helping them with tools they had already introduced, but maximising that. And it just grew, it grew from there. And it really has just been a whole whirlwind since then. Because, you know, the whole field has just exploded. Denise: And I love it. My issue is time. You know, it's everyone is so pumped about this, right… I say everyone, I will retract that. I guess I'm in a little bit of a bubble where people as supportive and really, you know, forward thinking and ready to embrace these kinds of changes. Not everyone is. I am now at a level where I'm sort of being pulled back sometimes to have wonderful conversations or debates with people about policy and government and what this means. And I am remembering that some people are not ready for this at all and don't understand it at all. But that's okay. Denise: It's just a matter of just, you know, providing the right education, you know, the evidence to help people understand. Because there are some doctors and government bodies that don't really we understand what we're doing. And they don't have the time to read the papers, if they don't know about, you know, the 15 years of research that I've done, and I wasn't the first, by the way. You know, Michael Fenech was doing research for years with MTHFR and showing, you know, the influence of folates and B12 and B6. My other supervisor, Gus Dekker, had been doing this research in the Netherlands in relation to pregnancy. So Michael actually, Fenech, had not been involved in any pregnancy health research. That was new to bring that to his lab. That was the connection with the obstetricians because research had been happening in the Netherlands, and then Gus moved out to Adelaide. And there are people all over the world that are doing this kind of research. It's been happening for a very long time, and, you know, not just folate nutrigenomics, you know, vitamin D pathways, detoxification, inflammation. It's all out there, but it's just a matter of having the time to distill that. And if you're not in the area, it can sound quite foreign or quite out there, you know. It's not the norm. Mark: I think you're right, because from a clinicians' perspective, I think most of us started hearing about this odd thing called MTHFR and addly because people recognised the acronym of that actually sounded very bad. And so certain things get a name and stick within the consciousness of the community. And I remember actually having naturopaths coming to talk to me in my practice back in the very early 2000s. And I think, "I know this is important, but I don't know why it's important. And if it's all just about one carbon metabolism, if it's all just MTHFR, surely, that's not everything." And I had the surprise that it is actually very, very important, but it's the tip of the iceberg. And what can freak out a doctor is the tip of the iceberg means you've got to learn about the bloody iceberg underneath it. Denise: Yeah, and I love that you just said one carbon metabolism. Because when I was not working with patients and doctors, you know, in our science, world, that's what we called it, one carbon metabolism. Now people throw around the word methylation or the methylation pathway. But we called it one carbon metabolism. Ultimately, it's the same thing, you know. Mark: Do you know what? In year 1999, it was, I went to a chronic fatigue syndrome conference, and there was this paper on one carbon metabolism and like, my biochemistry years, I was like, "Oh, yawn. This has got to be the most boring thing." At the end of 20-minute lecture, I suddenly, it opened up that Pandora's box of, "Oh, that's what biochemistry means. That's what B12. That's folate." And it was like all the stuff was packaged away from my university education, it needed a key to unlock it. And even just that one thing got me thinking about, "Wow, biochemistry is important." It's not just clinical medicine. We go back to the biochemistry and the genetics, and there is a whole new box of tools for a doctor to open. Denise: I'm so glad you said that. Because the reason I mentioned about my second year biochem experience of thinking, "When am I going to use these is?" is because when I started my PhD, and I was so excited to learn about this one carbon metabolism. Basically, I was learning folic pathways. And I just stopped and I had a moment when, "Wow, I love this stuff." Who would have thought? But it's when you want to do it. I think when you've got the passion, and, you know, I chose to do that PhD and I was lucky to get that scholarship. But I realised, I thought, "Wow, nutrigenomics or nutritional genomics really is a bit of a fancy word for biochemistry.” Because it's just the focus is on the genes in that pathway, not just the metabolites that are sort of moving around these metabolic pathways, but your focus is on the genes too and the nutrients that interact with those genes. So cofactor or what drives that enzyme activity or, you know, if it's an enzyme like MTHFR, you know, what influence does it have? Well, it doesn't metabolise a particular form of folate into another form of folate as efficiently, what does that mean for the person? Denise: So, you know, you're looking at that. And with the nutrigenomics too I think sometimes it's hard for people to get their head around, not the integrative doctors or the people involved in nutritional medicine or the naturopaths or allied health people that are looking at this big holistic approach. For us that are using these kinds of technologies or tests, we are trying to think about the biochemistry and sort of the whole person. But nutrigenomics is a very small part. MTHFR is even smaller. Denise: But you're right. It's not the tip of the iceberg. We're trying to understand what's going on underneath and put it in context of that patient. You know, if someone's. we're looking at a woman who is suffering some kind of oestrogen-related disorder, well, then we're going to be looking at genes that are going to influence oestrogen metabolism. Is she more likely to develop four hydroxy oestrogen metabolites that can potentially turn into quinones? And what are her Phase 2 detox enzymes like in relation to breaking down quinones? Does she have a high risk for potentially making these dangerous quinones from oestrogen? Well, if she does, then we want to have that conversation with her because genetically she's more susceptible. Or you know, if it's in relation to someone benzene toxicity who's struggling, or is it, you know, pregnancy and folate? It really depends on the patient and never just use the gene. It's just one tool to talk about susceptibility and risk. And I guess that sort of leads into a little bit of the, how do practitioners you know, bring this into clinic, because I think there was a big question at the start. There was a lot, yeah. Mark: I was about to raise that because from a clinician's perspective, something cool, like, "Oh, MTHFR, homozygous 677T variants. Wow, I can do something there." The classic example is a person comes back, they have B12 that's low-ish, but not low enough to cause anaemia or to cause any of the problems that we expect. But in this person with a homozygous mutation, it's a really important thing that B12 and the folate do not drop below much higher standards. The individual's needs a higher. Mark: It gives us a concept at a simplistic level to say, "Oh, that's what these patients are on about," that they lack something and yes, for the average person that B12 level is quite adequate, that folate level is adequate, but for this individual, it's not adequate. And then you do something practical like raise the B12, raise the folate and people come back and say, "Well, I transformed. Why did no one tell me about that before?" And that's because we had no way of knowing about that before. Denise: And you are right. A lot of what we are doing is education for the patients. Education on what they need because we are all different. And if you look through the research, there are papers suggesting from genes like BCMO1; that converts beta-carotene to vitamin A. Some people don't do it so well. Mark: I have a large number of patients who do not do it at all well. Vitamin A always, like beta-carotene always high. Denise: Yes. So there are some papers suggesting that Vitamin A recommended dietary guidelines should be based on some of the genes. Denise: There's also the same for zinc. We have zinc transporters that some of us have genetic variations in zinc transporters that do increase our risk of zinc deficiency. In particular for babies. So mothers that have these genetic variations are likely to transport less of those particular transporters that transport the zinc in the breast milk to the baby. There was a paper, I think it was last year, that was published saying that these particular variations are a lot more common in the population than they realised. it was a U.S. study. And they should start screening mothers and that zinc intake should be based on these genetic variations. Now, I'm always certain that these screening programs and recommend dietary intakes will not be changed or advised on genetics any time soon because it's a huge task. But that research is out there. Vitamin D too, you know, the information we have on vitamin D. And often when you're explaining things to new practitioners or even patients, the vitamin D one really helps people sort of understand what you're talking about when you are talking about genes in relation to someone's dietary intake or, in this case, you know, sun exposure with vitamin D.
Because, you know, vitamin D, there's multiple genome-wide studies and genome-wide studies are studies that are quite robust, quite reliable. You tend to put a lot of weight on those. They're usually looking at thousands of genes and very, very large populations and they'll see what comes from that. And they've done multiple genome-wide studies showing that there are a number of genes that code for enzymes involved in our ability to convert cholesterol or ‘pre-vitamin D’ that comes from cholesterol in the scheme into the active form of vitamin D. And how well we transfer that vitamin D, how well the vitamin D receptor is working, so how well it can bind to the Vitamin D and then that responsive gene to turn on all the things that vitamin D turns on. We know turns on over 900 genes, many involved in the immune system. Mark: And it's not a vitamin! It's not even a vitamin. It's a hormone. Denise: No, it's more like a hormone. It's ecosteroid actually, though, you know, it's very much like a hormone and probably mistakenly called a vitamin. But, in addition to all of these sort of steps that can heavily influence someone's ability to make vitamin D or even utilise it, there's also another degradation enzyme that breaks down the vitamin D. It tries to regulate the levels and if someone's supplementing and they have that particular genetic variation that means they degrade vitamin D quickly, they're going to need more vitamin D.
Denise: Vitamin D, it's a bit of a complicated pathway, but there are... it's quite polymorphic. Meaning there's many genetics variations that will influence someone's ability to make that vitamin D and, as I said, use it and break it down. And for those that sort of do a bit of genetics or know vitamin D, you may have followed me. For some you might have lost me. But just know that there is, you know, good evidence suggesting that some people will be at increased risk for vitamin D insufficiency or deficiency. And it's genetically related, of course also how much sun you see. Denise: Some people need more sun exposure or some people will need to supplement at a higher dose or for longer to get to adequate levels, and the genes definitely play a role there. Mark: Yeah, I talked to Amanda Archibald recently and Amanda's, our discussion turned to, that once people are traveling in jet planes from a latitude that they and their families and their families, families all grew up in, the kind of, almost the evolutionary response is, if you aren't good at producing your vitamin D, then you don't live in that environment too long. So we do see people traveling. And now with the mix of cultures, vitamin D deficiency is outrageously common in our communities. Denise: Now that I've moved to Queensland, I'm interested to see, when I start taking on more patients, I will be doing that in future. Because the whole conference, the last few months at conferences, is sort of slowing down. But I'll be interested to say what the vitamin D levels are here. Because in Melbourne, unless someone was supplementing or had just been on a holiday, nearly everyone was low or deficienct. Mark: I think you'll find that the success of our sun protection and, you know, cover up means that vitamin D deficiency is more common than we think all around Australia. So the evidence from the epidemiology is it's almost as common in Queensland, but that's because of the way that we've kind of approached sunlight as if it's the most toxic agent in the world. And as you probably know, in Melbourne, in winter, you do not produce vitamin D, even if you're out naked in the park. So there was no elevation of the sun capable of giving you vitamin D there. And it's something that we can look at. Some people do deal with low vitamin D pretty well, but it's one of the simplest things to fix. But you've got to be prepared to go for the dosage that actually does the job. Denise: Exactly. And some people definitely will need higher. I think you are right when we talk about the ways that we sort of deal with sunlight or our fear of, you know, getting burned and cancers and things like that. Despite knowing that vitamin D protects against all cancers except melanoma though. Someone told me last year now there's research showing it can protect against melanoma, so perhaps my statement there is incorrect. But you know that vitamin D, you know, adequate vitamin D protects against cancers but, you know, as someone with young children, you know, it was essential for my son to have sunscreen on every single morning at childcare, and they would do it for them every time they went outside. But then when he was at Kinder, you as the parent had to put it on. So it was at the door. And, you know, the kids must be lathered up in Melbourne, but there's not even much sun anyway. But they're the sort of, you know, I guess, policies that are put in place. So it obviously interferes directly with our ability to make that vitamin D. And then if you put the genes on top of that, and then perhaps there's something else that's, you know, affecting your immune system, you know, and again, it's never just, you know, one thing when we're talking about, you know, the diseases or the health complications our patients have, it's always a mixture of things. Mark: That brings me to the question of how do you move from the general to the specific? Like, how does this get personalised? Are we waiting for a whole of genome, you know, studies to come down to that $200 level and then everyone gets their genome done at birth? And you pick the little paths and as the evidence of, you know, the multi-gene contributions, you kind of build on the evidence of your own genetic structure? Or is there another future? I don't have a good feel for this yet, because to do whole of genome sequencing is still really expensive and limited to a very tiny number. And most of what's reported is the single gene SNPs that are highly important and highly predictive of a disease. Whereas what we want to know is tendencies, you know, what leads to diabetes? What leads to schizophrenia? How do you put those things together, most importantly, in a way that you could do something about? So do you have a feel yet for how that is moving to personalised individual nutrigenomics? Mark: And it shouldn't happen or it just won't happen? Denise: I think people should have a choice. Mark: Yeah, sure. For haemorrhagic diseases and PKU. Denise: Yeah. Inborn errors of metabolism and things like that, it's fine. But to do the entire genome, I’m just, even though I'm into all this, I still don't think that's the right thing to do. Denise: To what, you know, you can do now. And I think we've had a brief chat, and you even know more about me in the times and I think... Did you mention to me that there's a laboratory that can sequence the entire genome, did I correctly hear, in 20 minutes? Mark: Genome.One, The Garvan Institute here, which is associated with St. Vincent's Hospital. But I went through their genomics, the whole of genome sequencing, and they've got tens of millions of dollars worth of equipment. It still takes 24 hours to put a single person's genome through it. And the cost is up at that $4,000 or $5,000 range. But their take on it is with the new generation machine, which they're putting in that these things will be coming down from the $4,000 to the $200 or $300 mark. So getting a USB with your, basically, the base pairs, the 3 billion base pairs, and the 20,000 genes will be a thing that's easy to do. What's hard, is interpreting it. Denise: And from a personalised medicine perspective, I don't think getting your whole genome, actually I can say quite confidently, getting your whole genome isn't going to change the way that I do things at the moment when I'm just doing, say, genetic profiling. Because when we think about the genes, they are coding regions within the DNA. Denise: Majority of the DNA is actually non-coding DNA. So we don't even know what what's going on there. We believe it's got a lot to do with expression. Denise: Exactly. 20 years ago, when I was doing my undergraduate terms like junk DNA were thrown around. I think sometimes people think junk DNA as if it wasn't important. That's not why it was called junk DNA. It's because there's a lot of ‘junk,’ as in viral DNA, and bacterial DNA, and things that have been incorporated into our genome that need to be suppressed. That's sort of done with methylation. So there's things that we don't want expressed. But now we know that there are also things within that non-coding region that influence, as you said, the regulation and also the expression. So we don't completely understand a lot of that. So by having the whole genome, yes, you could pick up some of the clinical genetic markers, which are the SNPs that do cause disease. Which is very different in nutrigenomics because we want to know about things that may influence a metabolic pathway or may influence someone's risk of inflammation, or oxidative stress, or ability to deal with, you know, sugars, you know, glucose or insulin. So we're not looking for the disease-associated things. And a lot of what I'm doing right now, and I guess, other people that are practicing nutrigenomics, is we are looking for the genes that have substantial evidence. So we know that that genetic variation does influence how well the enzyme works, or the receptor, or the transporter. And then you look at that in context to the patient. So if it's vitamin D, we mentioned vitamin D before, even though you are telling someone they're highly likely to be low in vitamin D, because they've inherited all these genes that, let's say, they are not going to produce the vitamin D as well, or they're going to degrade it faster, or they're not using it as efficiently because it's not binding to the vitamin D receptor. Along with is also the vitamin D and retinoic acid receptor as well, they're combined. But you still don't know what their levels are. You're not going to give someone a supplement, or prescribe a dosage, based on the genes. You still have to then go and do a vitamin D level. You need that baseline. Denise: So you can provide that lifelong education say, well, you are someone who's going to be at risk. So you need to ensure that perhaps on a yearly basis, you get your vitamin D done. Get the levels checked to ensure it's adequate because we know it helps with mental health, you know, reducing risk of cancer. Supporting the immune system, autoimmune disorders, etc. But it's about giving them that education. I don't think people have to supplement all the time, their vitamin D could be debatable. But you might change your levels. It might be in summer you have 1000 IU if you're not outside a lot. And in winter you might have 5000 IU, or it could be completely different. But it's about being aware. But other testing has to come along with it ,and it's about pinpointing pathways. You know, is the methylation or the one carbon metabolism, and do we need to focus on B vitamins? Is it detoxification? Denise: Has this person inherited genes that mean they are going to more sensitive to this abundance of chemicals and toxins that are now in our environment that once upon a time weren't there? And I have to say to practitioners that currently do this or that are moving into the field, it's really important the way you deliver this information. We're not out there to create fear or make people think they've inherited bad genes.. I actually had a patient yesterday who said to me, "Well, why, when I did the MTHFR at the hospital, did they call it an MTHFR mutation?" And I said, "Well, you know, 15 years ago in the hospital, we called it a mutation too. Technically, it’s you know, it's..." I said, "Just say genetic variation." It's not a mutation in that it's going to be causing something really bad. Mutation just sounds awful. Mark: And it's technically not a mutation anyway. It’s a variant. There are multiple variants of new single nucleotides, all of which are compatible with life. Mark: And evolution has a tendency to keep the experiment going and have as wide a variety of those variations as possible. Denise: Yeah, the definition of mutation depending on where you read, it's not always, you know, black and white. But it can be it's in less than 1% of the population, all that it does cause disease. Well, in this case MTHFR is definitely not less than 1% of the population. Denise: Yeah, it's a lot more common. So, you know, using the right terminology, genetic variation, and also letting people know that it's actually the...it's not the genes, it's our environment, and we can change our environment. You know, if you are more sensitive to benzenes, or pthalates or parabens, you know, it's not that even dodgy genes, it's the way we have changed our environment so rapidly, our food, you know, fake food and chemicals and toxins and stress levels, all of these things are changing so rapidly and our genes are not keeping up. Denise: So all of us have genetic strengths and weaknesses and some will be more susceptible to things while others will be better at dealing with certain things. It's about modifying your diet, understanding what your genetic strengths and weaknesses are. And then where the weaknesses are, supporting that. Whether it's through diet, or changing your exercise, or changing sometimes, occasionally, people might have to move house. Don't live near that petrol station if you've got all the enzymes that say that you don't metabolise benzene, and we've got good evidence that some people are at higher risk of benzene toxicity. Get away from the petrol station and the busy road. Don't do it to yourself. Mark: Yeah. Well, that's why I'm saying is it not a sensible idea to have a kind of menu of those things which would be your risk areas? You know, if you're born in a city and, you know, you are going to be exposed to supermarkets, some exposed to petrochemicals and exposed to, say, even makeup? There are chemicals in each of those things which some people should know ahead of time are going to have negative outcomes. Mark: Why not do all of the nutrigenomics or pack everything that we can know to map a person's path forward? Is that a sensible idea or does that have its own dangers that we think we know more than we do? Denise: I think it's sensible. You know, for example, I've done genetic testing quite extensive on my children because I want to know. Mark: Well, that's why we have children as experimental subjects. I mean, the obvious thing is that's exactly why we have children. Mark: Well, husbands are sacrificable, the children, you want to keep. Denise: Yeah, exactly. No, of course we love them too. But, you know, I think it is a good thing as long as you know what you are looking at. Because if you did get the entire genome, you may get confused. Denise: And even some people that often use sort of direct to consumer, those that hear me speak know how I feel about that. You know, you can't get a lot from direct to consumer testing that are marketed as, you know, ancestry things. You have to sort of go and pull out all this information. But if you don't know what you're looking at, you can become very confused, or misinformed and think if there's genetic variations in particular genes, that that's a problem, and there may not be evidence. We can have genetic variations that don't actually influence the resulting proteins. Denise: Sometimes a genetic variation will not actually...the amino acid, the code, it may be the same, or it doesn't change the shape of the enzyme, or it doesn't affect how stable it is. So just having a genetic variation doesn't always mean that there is an impact. Mark: Yeah, and in many ways, our diet and our microbiome and lots of factors intervene in the expression of those genes. So if all you do is get, you know, MTHFR and you think of that as a defect, that might be entirely the wrong way to be thinking about. Same with vitamin D receptor genetics. Mark: That if you can modify them by particulars of the diet, the lifestyle, exercising, being outdoors, then they're not defects, they are really just one way of living a life that is optimised for you. Mark: And I think instincts of mothers has a lot to do with this. They've got us through the first million or 2 million years. And a lot of mothers know a lot more than doctors do about how to build health, and how to build babies, and how to take complexity and turn it into a kitchen, a recipe of, you know, living foods and the like. And I just have the suspicion that we risk turning genetics into yet another pathology test. I think of it as pathology rather than opportunity. Denise: It's interesting you use the word instincts because I've been giving some workshops lately and people are sitting in the workshops with their results while I'm talking through things. And I see this. You know, across the desk, you know, in clinic talking to patients. But in the workshop, it's quite interesting talking to people in a group. Mark: And drink it later at night than the others as well. Denise: Yes. Whereas the slow metabolisers generally are very aware, you know, their instincts are good. They know that they don't feel good, they have some anxiety or perhaps palpitations, and they just don't drink as much coffee. And it was interesting, the workshops that I've just been giving last week because it was a group of people. As I said, I usually see it one-on-one. I’d say 99% of the time people are aware, you're not telling them something new. So I’ll say, "Oh, you're a slow metaboliser of caffeine, you should minimise too much caffeine." And they already tell me, "I will have one maximum or I don't drink it at all." Denise: Even the person I had yesterday, she said even if she has more than two cups of tea. So these people often are aware and they actually already know a lot of these things. So when you talk about the genetics, it does resonate with people. Denise: But then there's also a lot they don't know. Because people aren't aware when you're talking to them about, you know, the things that are in their skincare and the chemicals or other things that it's not as easy to determine, they don't understand that. So there's a lot that you can tell them about that they probably already know, but also educating them on other things. And with these enzymes, with caffeine, it's important to know that when we're talking about, you know, Cytochrome P450’s, which have these phase one detox enzymes, phase two is obviously also important. But the phase one, in particular, they metabolise many, many things. Mark: They weren't designed for coffee and they weren't designed for our alcohol. Denise: Weren’t drinking coffee, or having all of these pharmaceutical medications, you know, hundreds of years ago. So, you know, they are also required to break down oestrogens and what we call polycyclic aromatic hydrocarbons which are, you know, you're burnt meat, your cigarette smoke, your benzenes, combustion fuels. So if you're drinking lots of coffee, your enzymes aren't available for things that you actually cannot control. So it's about controlling what you can. If you're more susceptible to some of these effects, well you want to control what you can. We can't control everything, but you can make better decisions, you can minimise your exposure which is going to optimise your health and reduce risk of, you know, diseases and things like that. Mark: It does change over time. I see chronic fatigue syndrome patients and people are highly susceptible to alcohol, coffee, and you know, the effects are enormous. You go back over their history, and in their 20s, coffee was 12 cups a day and they used it to get through university. There was not that heightened sensitivity to those things at that time. Then a traumatic effect of shock, a massive infection, something that is highly damaging, it's almost like it resets the entire SNP expression. Mark: That yes, they had those SNPs there but they were not affecting their health at one point in life, maybe just because they were youthful. But at another time, there is a massive alteration in the toxins that they can run into without being sick to the coffee, to the alcohol. And I'm always impressed by the fact that the genes were sitting there all that time and in really good health, they didn't play a part in anything that you could tell. But they were sitting there and the day would come with sufficient pressure on that little trap door in their genetic code, that if that trap door opens, they seem now highly susceptible and dreadfully affected. I'm keen to know how those genes switch themselves on. Do you have that answer? Denise: There are multiple things that are running through my head when you say that. So the first is, you know, total load. Denise: So that total load of chemicals and toxins increases over time. Mark: And you eventually run out of bucket space and it just flows over. Right. Denise: Yes. Exactly. Because a lot of the genes that we're talking about, let's just say, we're talking a glutathione transferase, a phase two detox enzyme. You know, it has the ability to, you know, conjugate things. So it'll add a glutathione onto a chemical toxin, making it more water soluble for you to excrete. But it has a limited sort of capacity. It can deal with a certain amount, and depending on your genetic...what you've inherited depends on whether it's you’re sort of, faster or slower. Mark: You're in deep trouble. Yes. Denise: And then what happens is, you know, as we get older too, we're more stressed, we're more go, go, go and, you know, things like methylation. You know, when you are anxious and producing all of these sort of neurotransmitters or sort of stress hormones, like adrenaline and dopamine. You are calling on your methylation, you know, S-adenosylmethionine, the enzyme COMT. Denise: It needs magnesium and S-adenosylmethionine which is made by the folate in the B’s, those methyl groups. If you're constantly stressed, you need to break these things down, which is with an enzyme called COMT. That now means that COMT is not there to break down your oestrogens, methylation is also needed for heavy metals. So, you know, once you start putting your body under this stress, and even if it is a trauma or you're in hospital, you know, you have put your body under huge stress and it's called on its reserves. Denise: And if you don't have... Yeah, and then all of a sudden, all these little weaknesses start to come to the surface. Mark: Yes. So I have a feeling just, by the way, that the person who ends up figuring out how to control their Catechol-O-methyltransferase, that COMT, they will own the world. Because when that goes, things escalate beyond all credibility in my mind. Mark: That once you cannot untangle that adrenaline hyperresponsiveness, hyperstimulation, there is a whole range of consequences as far as the whole of the brain and mind and relationships. 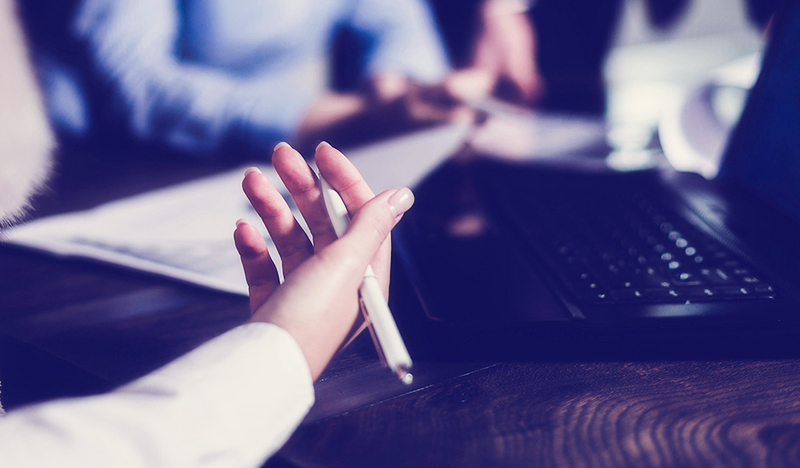 And if I had one thing that I could control, I'd say, "You give me control of COMT and I can make a difference to half of my patients in a very deep, deep way." Mark: Oh, we all have done trials with that. Magnesium switches this off, vast amounts. You know, 400, 800 milligrams of the stuff a day has really potent impact on it. So yes, I agree with that. Denise: There's actually a research study and I often sort of have it in my presentations, back in 2014. But they did a trial where they gave people normal water and then a placebo, so tap water with...or normal water with sodium chloride and then they had mineral water, natural mineral water that was rich in magnesium. Those that consumed the mineral water that was high in magnesium had higher COMT activity. Denise: So they were showing that, you know, that increased magnesium does actually increase the rate of COMT. So helping it break down these neurotransmitters at a faster rate. And that's really the basis of sort of nutrigenomics too. Denise: You've got a genetic variation, what can we do to compensate? You know, you need some magnesium. Now how many people are low in magnesium? Denise: And even if, it doesn't matter what your genes are, if you've inherited the good genotype and you sort of normal COMT, which is a bit hard to say what's normal, but let's just say, for simplicity we'll say normal. But you've inherited what's sort of associated with the normal or the wild type. If you're low magnesium, that enzyme isn't going to work well anyway, regardless of your genetic makeup. Mark: This is getting too fascinating. Dr. Denise Furness, we are going to have more of a talk in the future. This is barely opened a Pandora's Box of genetics and nutrigenomics. And I would love to talk with you a bit regularly. There is an almost infinite space and every time we talk, the technology moves on another step, the associations build, and the research builds for cause and effect. So I would love to invite you back. It's been a delight to speak to you today and thank you for telling us your story. Denise: Thank you so much. And I'm excited today to be part of this Omics podcast. And I'm looking forward to talking about all sorts of other omics too perhaps in the future, metabolomics, proteomics, and all the crazy things and technologies that are out there. Mark: There is not end to the omics any longer, is there? Denise: I know. It's changing the future of medicine. That's for sure. Mark: All right. Thank you so much, Denise. It's been great to talk. Denise: Thank you so much. Mark: I'm Dr. Mark Donohoe, and thanks for joining us today on FX Omics. Dr. Denise conducted her Ph.D. at CSIRO Human Nutrition, before completing a postdoctoral fellowship with the University of Adelaide’s Research Centre for Reproductive Health. Specifically, her research investigated folate nutrigenomics, methylation and DNA damage in relation to pregnancy outcomes. She has published her work in peer-reviewed medical journals and regularly presents at national and international conferences. In 2012 Dr. Denise shifted from academic research to founding her own business at Your Genes & Nutrition, helping patients and practitioners understand the role of nutrigenomics and genetic testing in relation to various health outcomes. In particular, Dr. Denise is passionate about helping couples achieve optimum health and wellness to improve their chances for natural conception and healthy pregnancy outcomes. 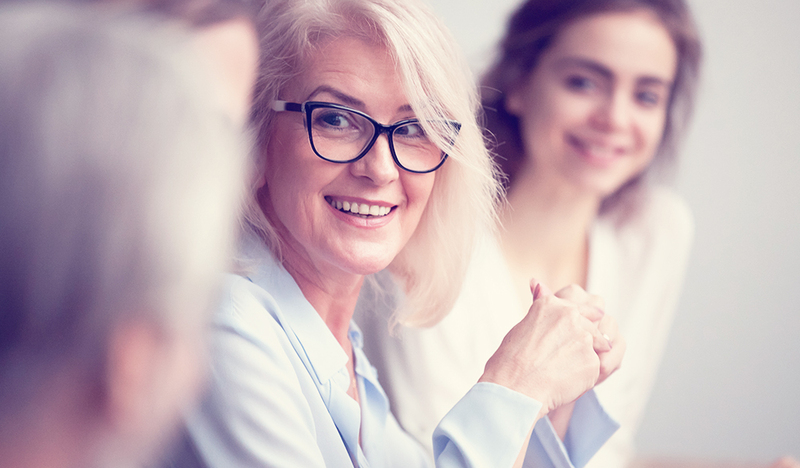 In addition, Dr. Denise holds regular educational seminars and workshops discussing the links between our genes and our environment and how these impact on our health throughout all the stages of the life cycle.